No one speaks. Silence… Only the wind, the Bedouin and his camel slowly trotting in front of me. 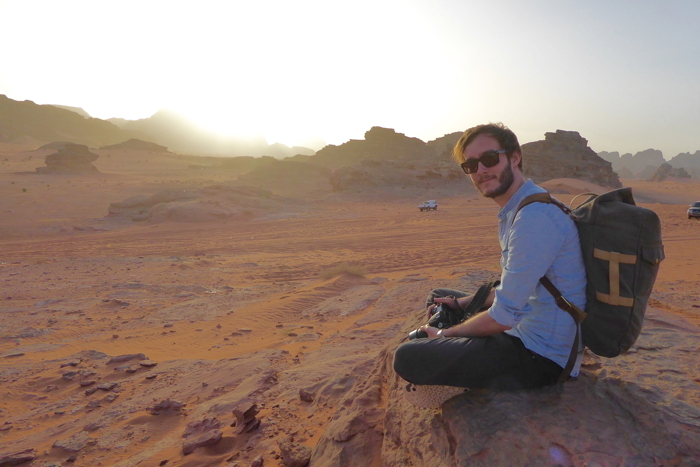 I’m completely caught in the moment while watching the sunset in Wadi Rum in Jordan, the most famous desert of the Hashemite Kingdom.